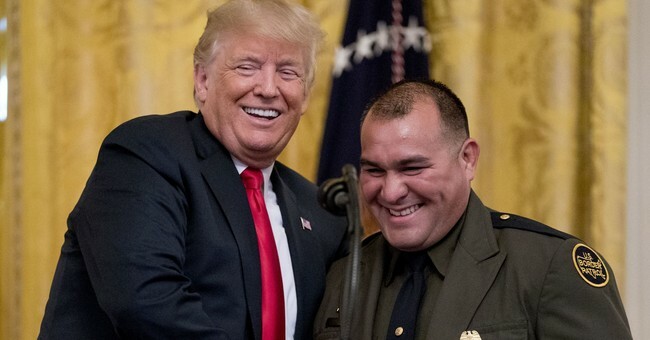 The Supreme Court reversed a Ninth Circuit Court of Appeals ruling Tuesday, handing the Trump administration a victory in the battle against illegal immigration. "Federal immigration law empowers the Secretary of Homeland Security to arrest and hold a deportable alien pending a removal decision, and generally gives the Secretary the discretion either to detain the alien or to release him on bond or parole," the ruling states. In other words, the Department of Homeland Security has the legal authority to detain illegal immigrants after they have been through a court hearing. This helps to address the ongoing catch-and-release policies that have been mandated by Congress' refusal to change outdated immigration laws. In the case before the justices, a group of mostly green card holders argued that unless immigrants were picked up immediately after finishing their prison sentence, they should get a hearing to argue for their release while deportation proceedings go forward. But in the 5-4 decision on Tuesday, the Supreme Court ruled against them, deciding that federal immigration officials can detain noncitizens at any time after their release from local or state custody. The court also ruled the government maintains broad discretion to decide who would represent a danger to the community in deciding who to release or detain. Yesterday DHS Secretary Kistjen Nielson gave a major speech about the status of homeland security in the United States and called the situation on the border a full-blown crisis.